Tomorrow is the beginning of December, the 12th month. 2018 is coming to an end. ALREADY! Twelve is a very powerful and influential number from ancient times. It is a number of completion – like the number 9 but in a larger, more full circle type of Way. Creator may have 12 show Up around you as Godsign to let you know things are coming full circle or a time of completion is nearing. Twelve was significant in ancient times for many reasons; there were twelve tribes in Israel, twelve disciples followed Jesus, there are twelve astrological signs in the zodiac, there are twelve months in the year, and our modern clock is divided into two groups of twelve hours. It is considered to be the ancient number of completion as it signals the end of childhood and the beginning stages of adulthood. Additionally, the ancient numbering and measuring systems are based on this number, as evidenced by terms such as a dozen (12), a gross (12 times 12), a shilling (12 pence) and a foot (12 inches). There are twelve days of Yuletide and Christmas; these celebrations are also found in Vedic, Chinese, Pagan and European symbolism. The days are said to forecast the meteorological pattern of the twelve months of the coming year. Buddhist: There are twelve members of the council of the Dalai Lama. Celtic: There were twelve peers of Charlemagne and twelve knights of the Round Table at King Arthur’s court. Chinese: There are twelve animal symbols in the Chinese Zodiac: Boar, Rooster, Dog, Dragon, Goat, Hare, Horse, Monkey, Ox, Rat, Snake and Tiger. These are the Beasts of the Constellations and are under the six branches of the Year Tree; there are six wild animals – Yin. And there are six domestic animals – Yang. 2019 is going to be the year of the pig, the year of the boar. The 12 months of next year will be a lucky and prosperous and auspicious year for many because the pig attracts success in all the spheres of life. The Zodiac has six northern (wet) and six southern (dry) signs: Aries, Leo, Sagittarius are fire, hot and dry, East. Taurus, Virgo, Capricorns are earth, cold, dry, South. Gemini, Libra, Aquarius are air, hot, wet, West. Cancer, Scorpio, Pisces are water, cold, wet, North. There are the 12 days of Christmastide – In the Middle Ages this period was one of continuous feasting and merrymaking, which climaxed on Twelfth Night, the traditional end of the Christmas season. Twelfth Night itself was forever solidified in popular culture when William Shakespeare used it as setting for one of his most famous stage plays, titled Twelfth Night. There are 12 persons on a jury and 12 pairs of ribs in the human body. American paper currency has serial numbers beginning with one of twelve different letters, A through L, representing the Federal Reserve Bank from which the currency originated. The power of 12 – it matters. Source may use 12 to let you know you are never alone and you have several options open to you – perhaps as many as 12 – in any scenario. Pay attention to how the number 12 shows Up in your life. It may well be the 12 Apostles surrounding you with more advise then you can take in….Can you imagine the power and Uplifting primal beat if you had 12 drummers drumming around you . . . The Spirits can fill you with that type of energy right now to help you know you are NEVER alone in God’s World. Wishing you and yours a very happy, healthy and sacred 12th month. Please keep all those effected by devastating ‘out-of-nowhere’ tragedies in your prayers, sending them healing Waves of God’s Light, Strength and Love. There are still so many in pain, just trying to get through. Thank you for your help and prayers! In November & December the Spirit Salon will be exploring how to develop your ‘Four Clairs’. We will be exploring the 4 main types of your psychic ability referred to by many as ‘the four Clairs’; Clairvoyance, Clairsentience, Clairaudience and Claircognizance. Everyone on this planet is gifted with Clairsentience because we all get ‘goosebumps’. Learn about the various ways your intuitive abilities work and strengthen the connections you have with our Creator and your loved ones in Spirit. Join us for a fun, very intuitive, uplifting and Spirit-filled time! Come enjoy your trip! The Spirit Salon group, led by Annie Truesdell, meets Tuesday nights from 5:30-7:00 at New Age People. For additional info visit New Age People at www.newagepeople.com Come early as seating is limited. See additional info for this class and Inner Path at www.myinnerpath.com. Come early as seating is limited. In November and December the Fun Friday groups will be exploring the world of Channeling. We are going to have fun exploring the world of our modern day channelers and the Angels, entities or groups that they channel. 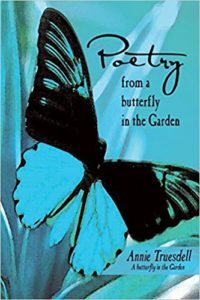 We will learn about the messages that the channel Lee Carroll brings into our world from the Angel Kyron, and about the sacred words the group Abraham brings to our world through Esther Hicks. We will discuss Tom Kenyon and the Hathors. It will be an adventurous time for the Spirit Salon. Please join us for a very intuitive, uplifting and Spirit-filled time. The Spirit Salon group, led by Annie Truesdell, meets Friday nights, except First Fridays, from 6:30-8:00 at Inner Path. Cost is $11. Many in our world are aware and know that although their loved one’s Spirit has passed into Heaven the sacred and eternal communications and connections with their loved ones still continue with them after death. The Griffin Grief Group’s mission is to help everyone learn to strengthen, use and honor the many and varied Sacred Messages received from loved ones in Spirit. Over time, these sacred messages and communications help ease grief through the eternal bonds of God’s Love and Grace. Whether you have lost your parent or child, spouse or friend, the loss and grief can feel like it will consume your heart. 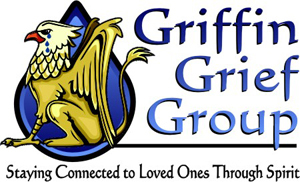 The Griffin Grief Groups are here to help you connect through Spirit with your loved one in Spirit. You will meet others who understand deep grief from their own experiences. Sharing the eternal Connection we all are capable of knowing, seeing and using in our daily life from our loved ones in Heaven allows each of us to realize how deep and everlasting their love is for us in God’s eternal Home and helps lessen grief. See additional info at www.myinnerpath.com. Come early as seating is limited. Please keep all those effected by devastating Terrorism and War tragedies in your prayers, and FOR ALL THE THOUSANDS OF CHILDREN DYING, RUNNING FROM MEN WITH GUNS AND WARS, SCARED. Send them healing Waves of God’s Light, Strength and Love. There are so many in pain, just trying to get through. Thank you for your help and prayers! GET RID OF GUNS. If anyone is needing help getting rid of a gun, please let me know. I am happy to help get it or you or both to the nearest police station. They will take any guns and destroy them. I have a number of police officer friends that can also assist us. And the Children shall lead them . . .
You can always look over past few weeks of Godsign™ messages by going to our Godsign Institute page on FACEBOOK! You can say HELLO to Godsign™ on our FACEBOOK page. And we really wish you would! The techno-gurus say that one of the best ways to spread your ‘good stuff’ around the world these days is to be “LIKED” on Facebook. We would LOVE IT IF YOU LIKED US!! Give us a thumbs way UP! “Click” to us today and say Hello! 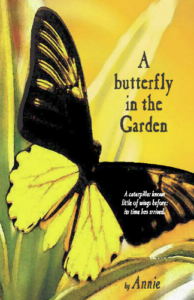 I will be happy to sign any book – just let me know! Please keep all those effected by awful tragedies in your prayers, sending them healing Waves of God’s Light, Strength and Love. There are still so many in pain, just trying to get through. Thank you for your help and prayers! Thank You for the abundance of love that I will give and receive. Thank You for there always being enough of what I need always, in all ways so that I may share. Go to www.godsigninstitute.com for details. All Are Welcome, Because God Created the All. We are all One, one Mind, one Energy, one Universal Spirit.